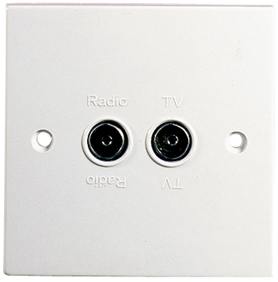 Flush twin outlet for TV and FM radio. Designed to separate UHF and FM signals from a mast head mixer and from a single down lead. Supplied with fixing screws.